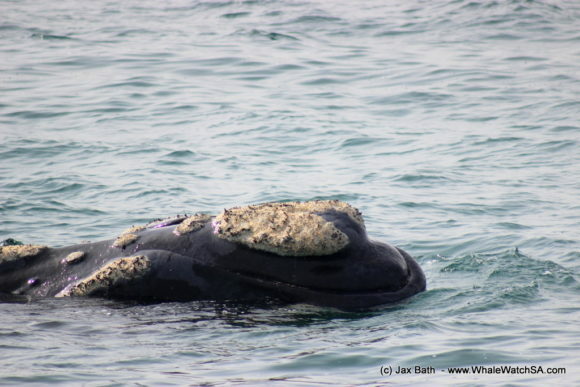 We have just entered a really exciting part of our whale season, where our eligible male and female Right Whales are getting together to form mating groups! 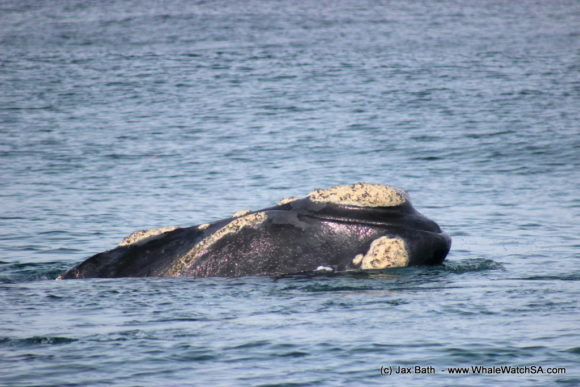 Yesterday, we got to see our first real mating action of the season and today, we had an abundance of whales hanging out around Pearly Beach. 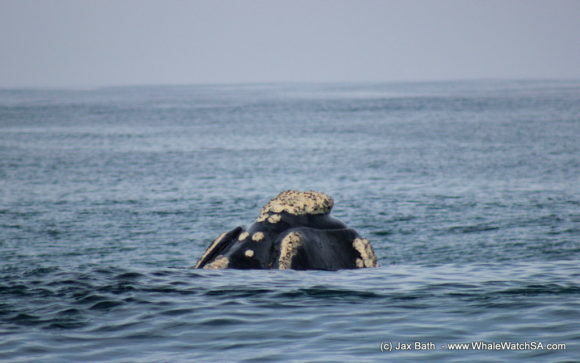 This made or an awesome tour out on Dream Catcher today, with us spotting seals, Penguins, a Sun Fish and even a Great White Shark during the rest of our excursion. 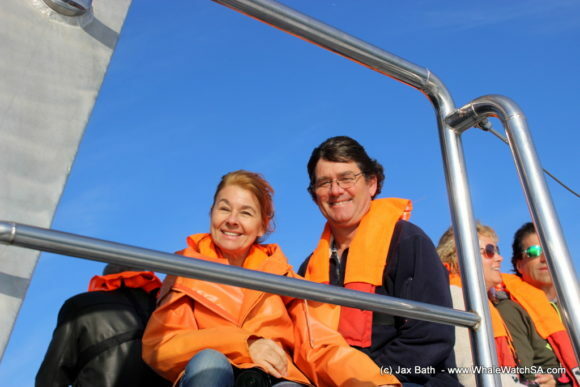 We had a perfect winters day out on the water, with a chilly breeze blowing towards the end of the tour. Our trip began in the shallow waters of Uilenkraalsmond where our intern team recorded the water conditions in front of the estuary using a YSI, which measures the temperature, oxygen and pressure levels of the ocean. 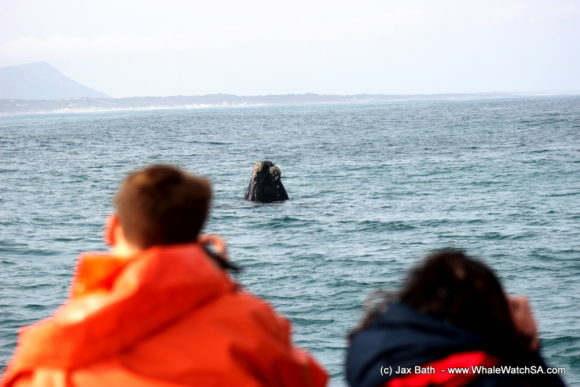 It was decided then that we’d hug the shore until we were in the vicinity of the shark cage diving vessels, where we stopped to have a quick view of one of the oceans most iconic predators. 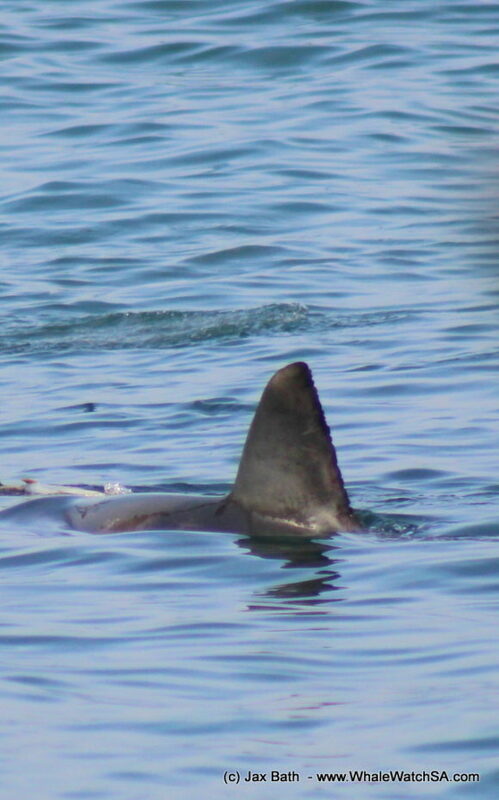 Sure enough, we were able to have a wonderful sighting of a really active individual at one of the boat. 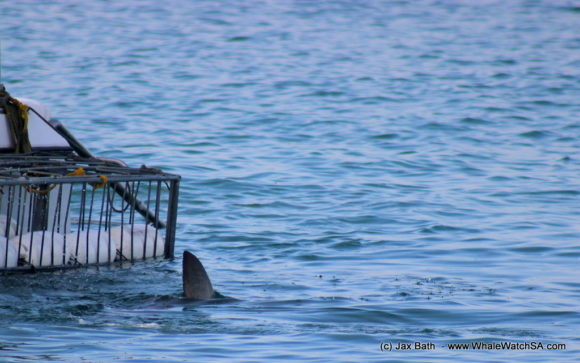 This shark seemed really curious, hanging around and at times lunging himself at the bait and giving us a view of his pearly whites. 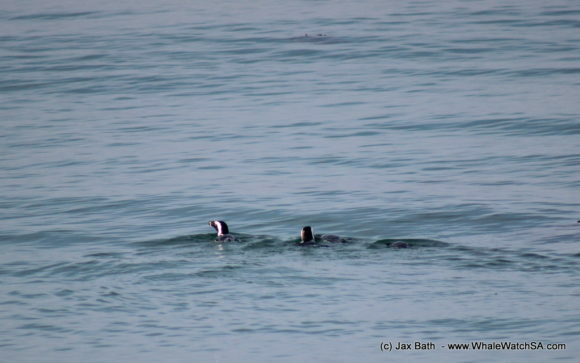 After our stop here, we moved onto The Clyde Reef System where we caught up with a raft of African Penguins who were trying to find themselves some lunch. We watched these little flightless birds come up a few times before we head on over to Pearly Beach in search of the whales. Here we were lucky to catch up with a mating group hanging around close to shore, with 3 individuals being sighted having some fun. 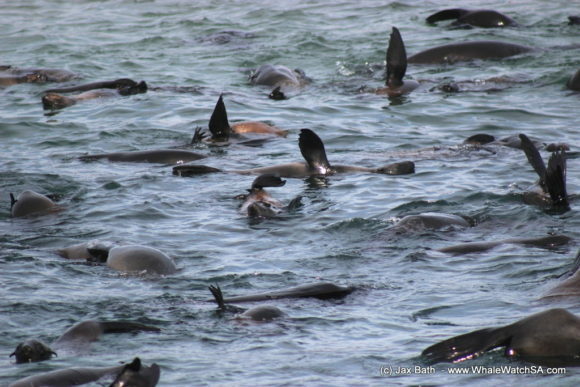 Mating groups are among our favorite sights as these animals are often quite active. 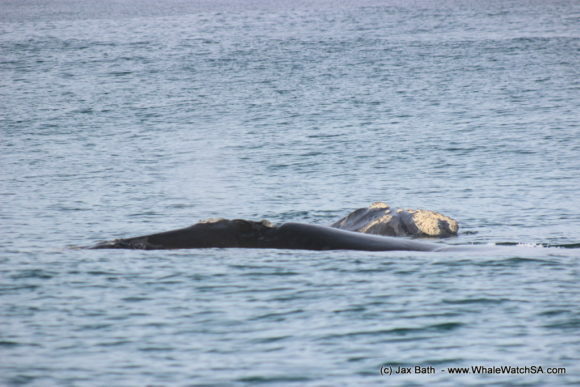 This group was no exception with some spy hopping happening just in front of the boat as a curios whale checked us out. We also got to see them all rolling around a bit. 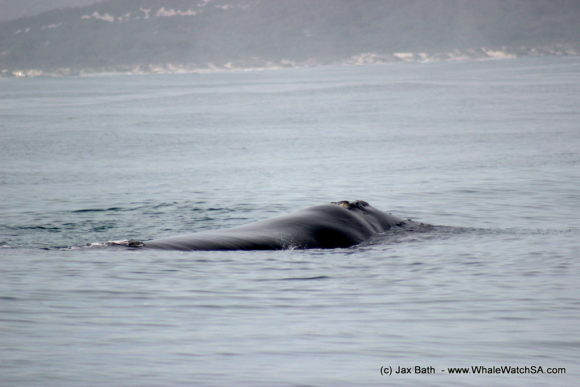 With one turning on it’s side and giving us a view of it’s pectoral flipper, which can weight an astonishing 2 tons! 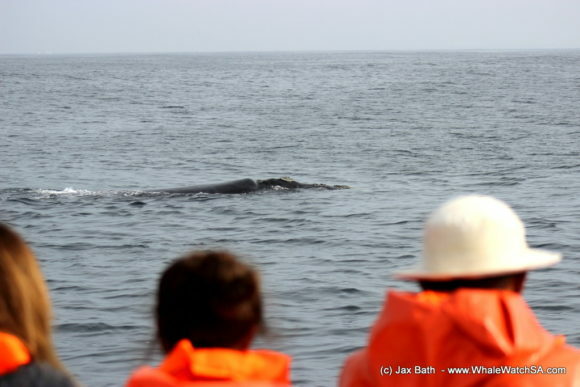 At this time, we also got to see a whale breach in the distance, although we were not able to catch up with this individual. 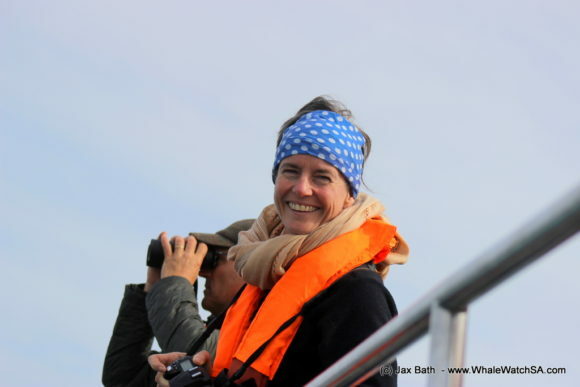 On our way towards Dyer Island, we spend some more time with a mating group, where we had the whales come right up to the boat, passing on the sides and just behind our engines, giving us a close look at their callosity covered faces. 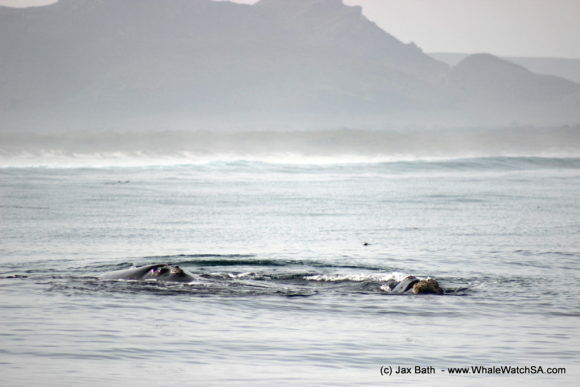 We then travelled into slightly deeper water where we came across an Ocean Sunfish or Mola Mola. 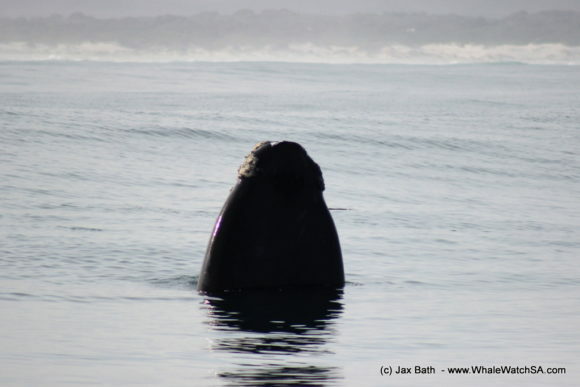 Once we’d watch this strange creature for a bit, we spotted a further two whales moving at the back of Geyser Rock as we entered Shark Alley. In the alley itself, we were treated to incredible visibility where one could see the bottom of the channel. 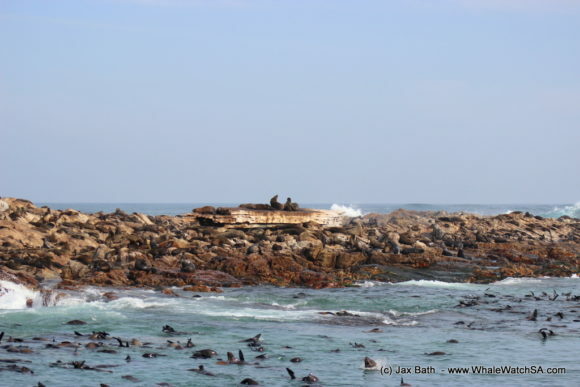 We also had a fair number of seals cooling down and playing the fool in the water whilst the majority of them lay like boulders on Geyser Rock. 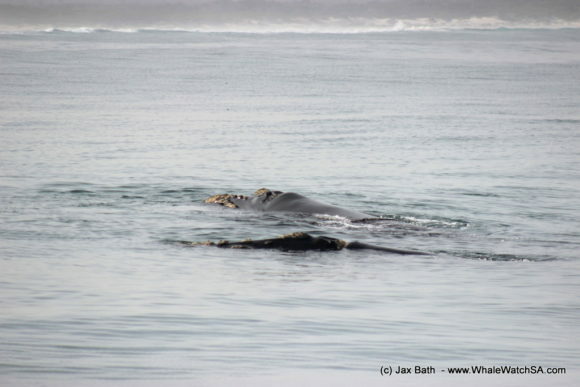 This was our last sighting for the day, after which we made our way back to Kleinbaai Harbour.